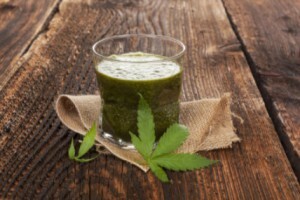 Home / Wacky Weed Stories / Juice with a Side of Cannabis in Washington D.C.
Juice with a Side of Cannabis in Washington D.C. In Washington D.C., there is a measure, Initiative 71, which makes buying, growing and using marijuana legal, but keeps selling it illegal. Well now a California-based marijuana delivery service, specializing in juice, is capitalizing on this initiative. HighSpeed Delivery, serving high-quality juice, offers the option of delivering marijuana with their product. The 25-year-old owner, David Umeh, even spoke with a number of lawyers to ensure that he was within the legal confines before expanding his business. “We are a juice delivery start up and every delivery of juice comes with a gift of cannabis,” Umeh told local news. The business started in Oakland, but now operates in D.C. Umeh stated that 74% of the business’s orders are from the Northwest side of Washington D.C, 20% from the area around Capitol Hill, and the remainder from other places around the city. The HighSpeed Delivery menu allows customers to purchase juice for $11, which comes with a small gift of cannabis. If customers opt to make a donation (either by purchasing the Love or Lots of Love packages for $55 and $150 respectively) the gift of cannabis increases. The Love package comes with an 1/8th ounce of cannabis and the amount varies as the donation increases.